Cult of Chucky Still Happening: New Trailer, Release Window Announced | Nerd Much? If you were awaiting more news for the murderous doll’s seventh film, prepare yourselves, as Cult of Chucky is not only not dead, but it also now has a debut trailer and a release window. This morning, Universal Pictures debuted the Cult of Chucky trailer, and also detailed some brand new exclusive plot details over at Entertainment Weekly. This will be the 7th Child’s Play film, and it feels like a step in the right direction for the nearly 30-year-old franchise, bringing together some of the franchise’s notable names. 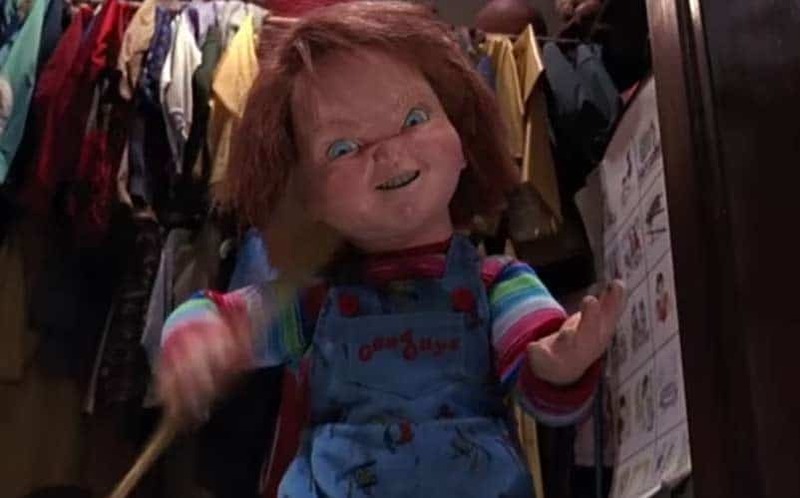 It will be directed by series vet Don Mancini, who helped write the original film and directed Seed of Chucky and Curse of Chucky, and it will star Brad Dourif (Chucky), Fiona Dourif (Nica Pierce), Alex Vincent, and Jennifer Tully — all franchise veterans. Cult of Chucky will take place in an insane asylum where Nica has been for the past four years after being wrongfully held responsible for the murder of her entire family (obviously, Chucky deserves credit). After her therapist at the asylum brings in a new therapeutic tool — a “Good Guy” doll we know as Chucky —a string of murders take place. Chucky’s now grown-man nemesis, Andy Barclay, will attempt to come to Nica’s rescue. But to do so, they’ll have to eliminate both Chucky and his murderous bride, Tiffany. Cult of Chucky will be heading straight to home video via Blu-Ray, DVD, and Digital HD later this fall, and it’s promised to arrive before Halloween. For more upcoming horror movies of 2017, check out our mega list. You can also check out the brand new Rings trailer that Paramount just debuted today.